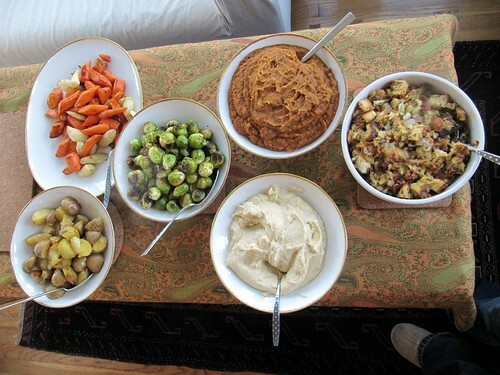 Creamed turnips are a staple at our family Thanksgiving. I love cornbread stuffing, so that was a great choice. My mother makes “traditional” stuffing with oysters and chestnuts. MIght have to mention chipotle sweet potatoes to my dad. Someday I have to try oysters in stuffing. Never had it.